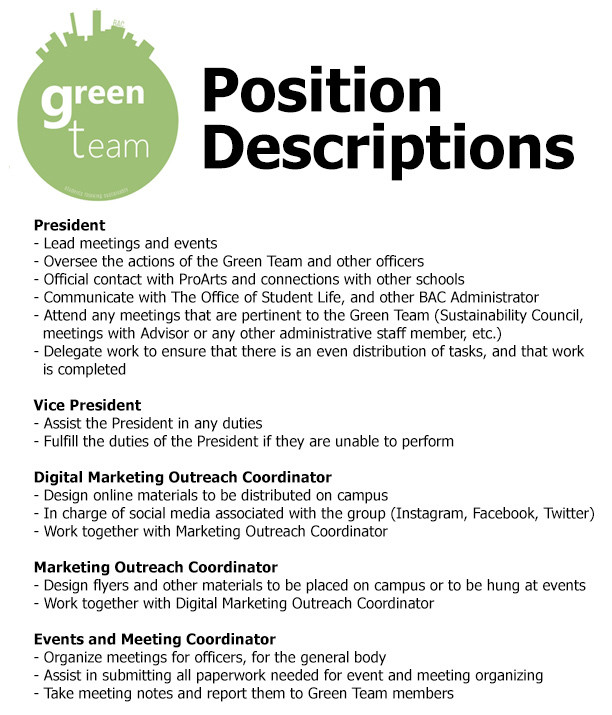 The BAC Green Team endeavors to take student initiative by promoting sustainable practices across the college, the Professional Arts Consortium, and the immediate community. Their mission is to foster interest, enhance education, and provide implementable strategies that all stakeholders can participate in toward a healthier culture of environmental, economical, and social stewardship. They pledge to consider the social, economic, and environmental impacts of our habits and explore ways in which to live, work, and study more sustainably during their time at the BAC and beyond. For more information about these positions, please click the image above. 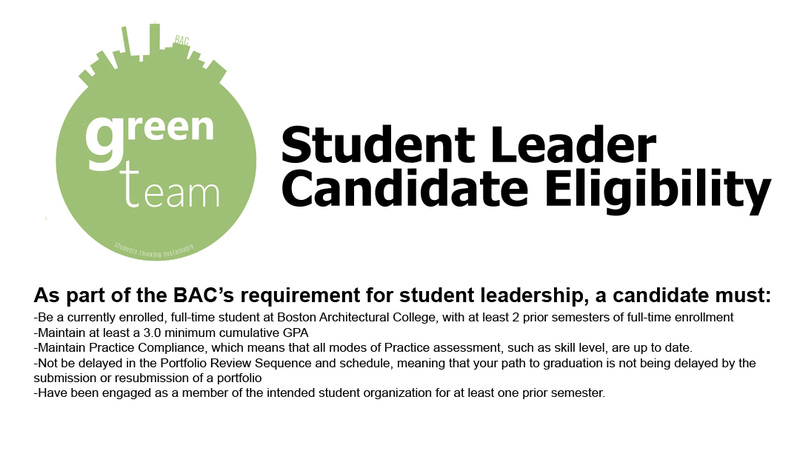 For more information about candidate eligibility, please click the image below.